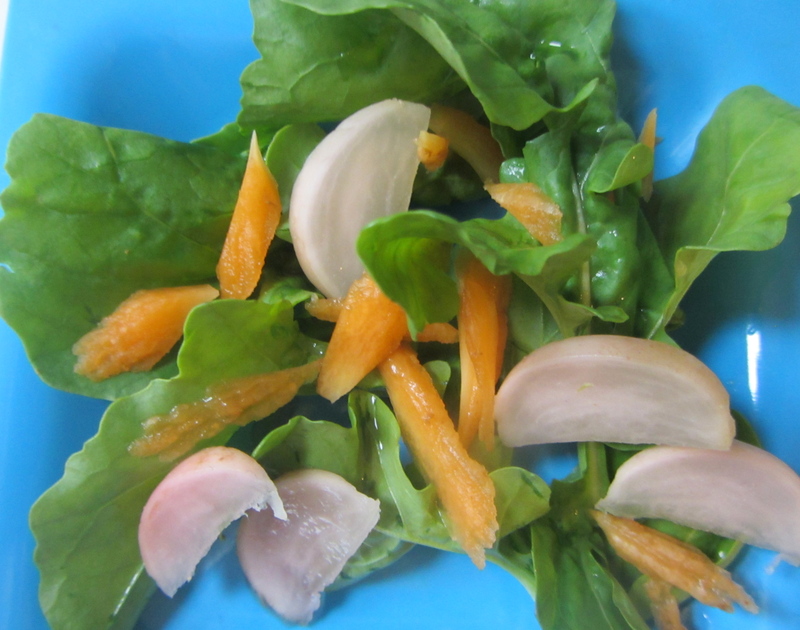 On a rainy spring morning, I made a tangy arugula salad with sweet shaved carrots and pickled pink radishes. It was a visual and sensory wake up cleanse. 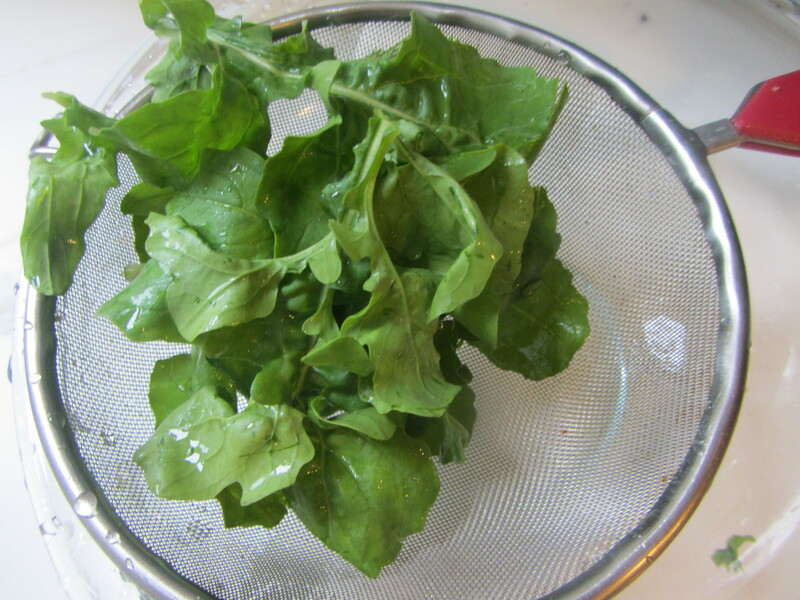 Process Wash the arugula leaves well by immersing them in a large bowl of cold water. Remove and put in a wire mesh strainer to dry. 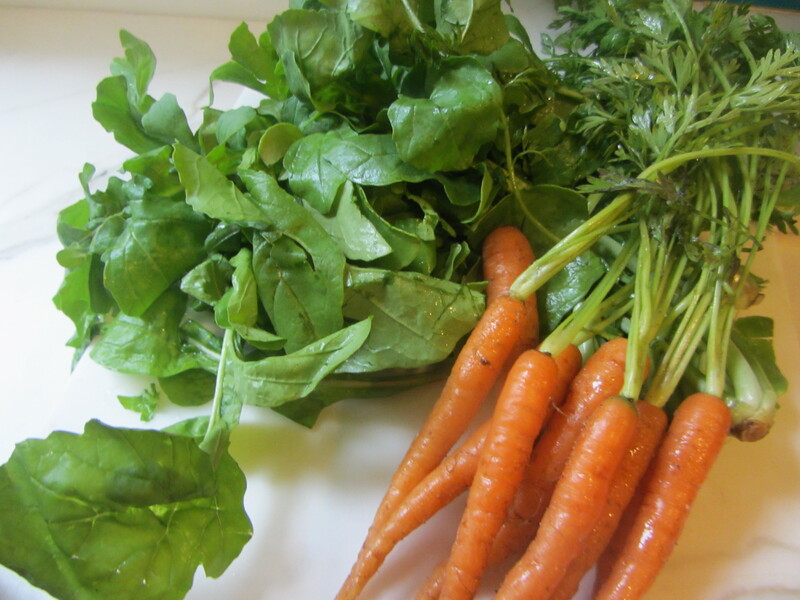 Clean the carrots’ surfaces by scraping off any brown spots or tiny hairs; rinse each one. Arrange the arugula leaves on individual plates. 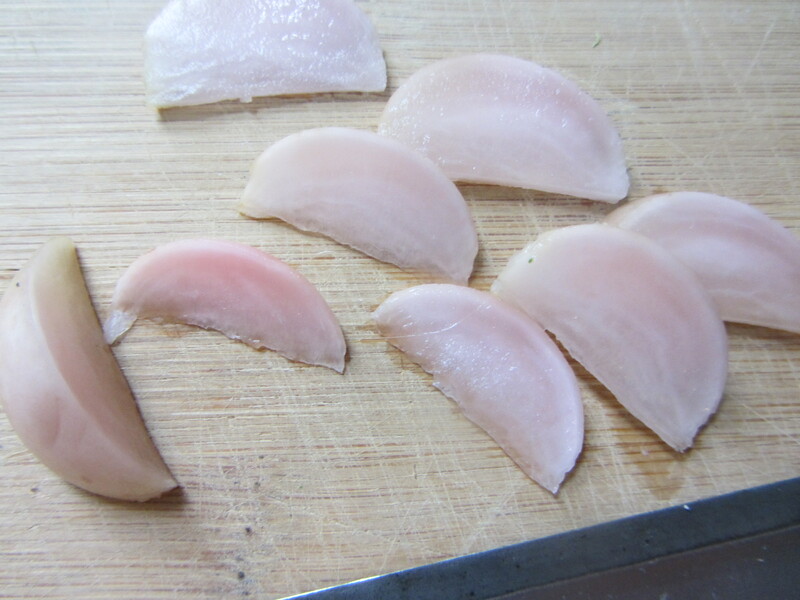 Slice the pickled radish into severl half-moon shapes. Place them among the arugula leaves. Shave the carrot as you would a pencil. 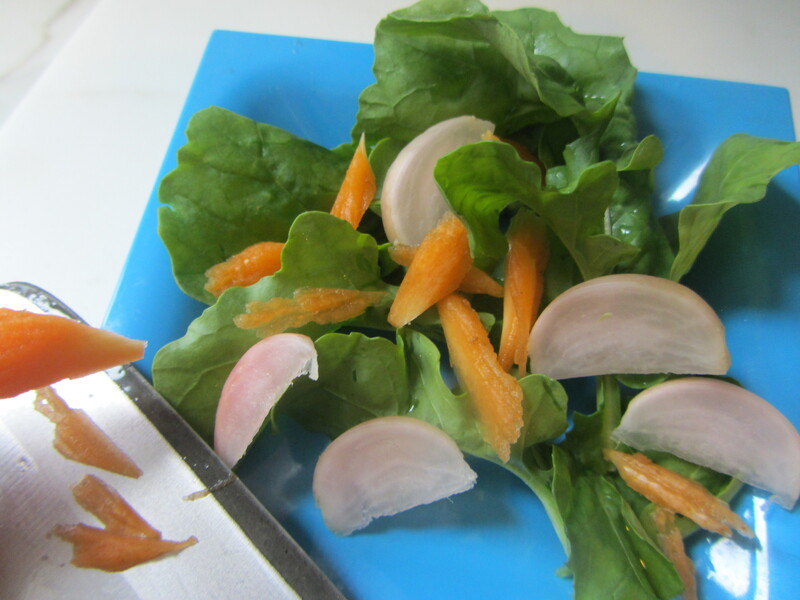 Scatter the carrot shavings onto the salads. 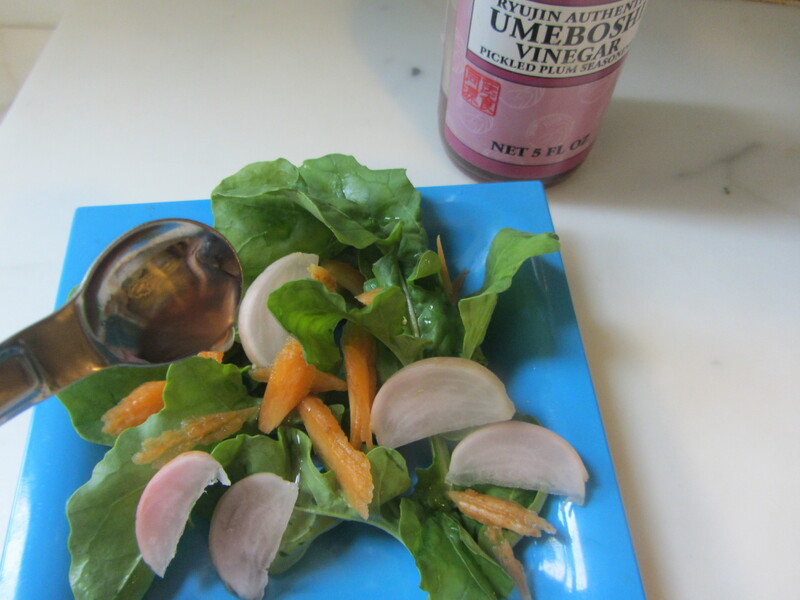 Drizzle the ume plum vinegar (about one half teaspoon) on top of each salad.